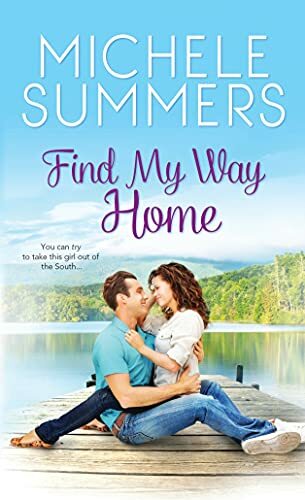 Just as she's ready to say goodbye to her small town of Harmony, North Carolina, interior decorator Bertie Anderson is offered her dream job. Her client? Hunky former tennis pro, Keith Morgan. She's there to decorate his home, but she may be leaving with his heart. For retired tennis pro Keith Morgan, Harmony is a far cry from fast-paced Miami―which is exactly the point. Keith is starting a new life for himself and his daughter Maddie, and he's left the bright lights and hot women far behind. Bertie's exactly the kind of curvaceous temptation he doesn't need, and Keith refuses to let their sizzling attraction distract him from his goals. Keith and Bertie both have to learn that there's more than one kind of escape, and it takes more than wallpaper to turn a house into a home. Michele Summers writes about small town life with a Southern flair. She has her own interior design business in Raleigh, North Carolina and Miami, Florida. Both professions feed her creative appetite and provide a daily dose of humor. When she isn't writing or creating colorful interiors, she is playing tennis, cooking for family and clients, knitting, reading and most importantly, raising her two great kids. Michele's work has won recognition from the Dixie First Chapter, Golden Palm, Fool For Love, Rebecca and Fabulous Five contests. She is an active member of the Heart of Carolina and Florida Romance Writers chapters of RWA. You can contact Michele at her website, www.michelesummers.com , where you will also locate her other social media buttons.